St. Paul, Minn. (July 13, 2010) – Daniel Abebe, Saint Paul, dean of Metropolitan State University’s First College, was named interim dean of the university’s College of Professional Studies. The appointment is effective July 1. He is replacing Dr. Carmen Coballes-Vega who left July 1 to assume the provost’s position at Hostos College, City University of New York. 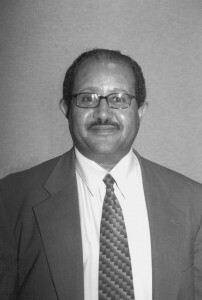 A search to fill the position on a permanent basis will be conducted during the 2010–2011 academic year, during which time Abebe will lead both colleges. Abebe will provide programmatic, administrative and budgetary leadership for the College of Professional Studies, including oversight of curricular development and faculty recruitment and evaluation. The college offers undergraduate programs in alcohol and drug counseling, early childhood studies, urban early childhood education, urban elementary education, human services, psychology and social work. It also provides graduate programs in psychology. Abebe came to Metropolitan State from Hamline University where he was intercultural affairs director and minority programs director. He has been on Metropolitan State’s faculty since 1989, having served as interim dean for the College of Arts and Sciences before being named First College dean in 2002. He was also an associate professor and Ethnic Studies Department chair. Abebe holds a B.A. in economics from Hamline University and an M.A. and Ph.D. in adult education, both from the University of Minnesota. I talked with Monica who teaches at your University and she recommended that I contact you. Currently I am inquiring a teaching position in your University. I received my Doctorate from University of ST Thomas. Please let me know if you can assistance in this matter. To give more information, I am ethnically Somali.